Dare you discover the world’s most fierce and frightening creatures? There’s the poison-dart frog. The lashing cobra. The raging lion. All of them can kill you in a flash. How close will you go? 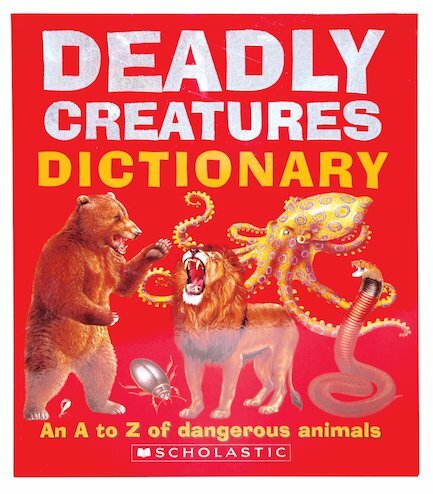 This A-Z guide to the world’s most dangerous animals is sure to leave you weak at the knees! 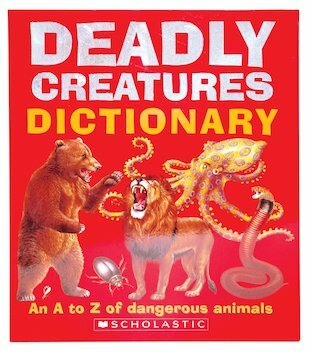 I like the pictures of the deadly animals in it. I like to look up information about the different animals.